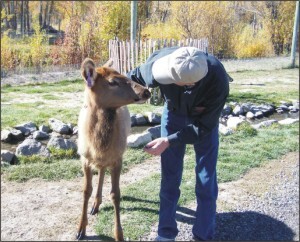 Mike Johnson is a writer, entrepreneur, early retirement expert and deer whisperer. He learned how to retire early and does his best to help others escape the employment wheel too. There's more to life than work and there's more to life than play. In the immortal words of Forrest Gump, "Both can be happening at the same time." If you need a versatile, seasoned writer, Mike has sold over two million words since 1991. His work has appeared regularly in business publications, newsletters, consumer and trade magazines, web sites, newspapers, books and radio. Mike is one of those rare writers with more than 40 years of first-hand business management experience with both corporations and his own businesses. A quick study, Mike can write about any industry. creative writer and a professional businessperson - a great combination!" Mike's Blog Follow Mike day-by-day through several years of his life. for our other publications and we're saying,"We need another Mike Johnson." They're so hard to find, I'll tell you." Authored Article: "Gaining the Attention of the Market"
Award Nomination: "The Ernst & Young Entrepreneur of the Year Award"
for the Blue Chip Nomination. Thanks so much for your help!" Advertising Agency RMR & Associates, Inc.
"I think you did a great job with the book, Mike. who has seen it says it looks wonderful. It should do real well." Executive Speech: For CEO, "Providing Infrastructure For Multilingual eBusiness"
"I just wanted to touch base with you personally on this article. It's a really well-written piece and looks really, really good." "You are a fantastic writer! You did a fantastic job. In just a 30 minute interview you captured our story." "This is an outstanding letter. You're a natural copywriter." Mike also gained inspiration from buying, rehabbing, working and selling his Minnesota hobby farm. "Mike, I think your article turned out great! And thank you for answering visitor questions." Mike Used Income Property to Retire Early & You Can Too! P.S. I'm self-taught so you can do this too! Everything you need to learn is on the Internet, in a book or in the mind of someone who has already succeeded. Read! Ask! Take action! 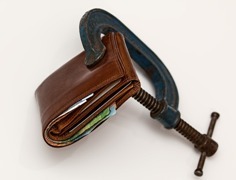 Are You Using Good Debt or Bad Debt? giving you financial & time freedom. trapping you in the world of employment & work schedules. Knowing the difference between the two determines a life of freedom or a life of slavery.